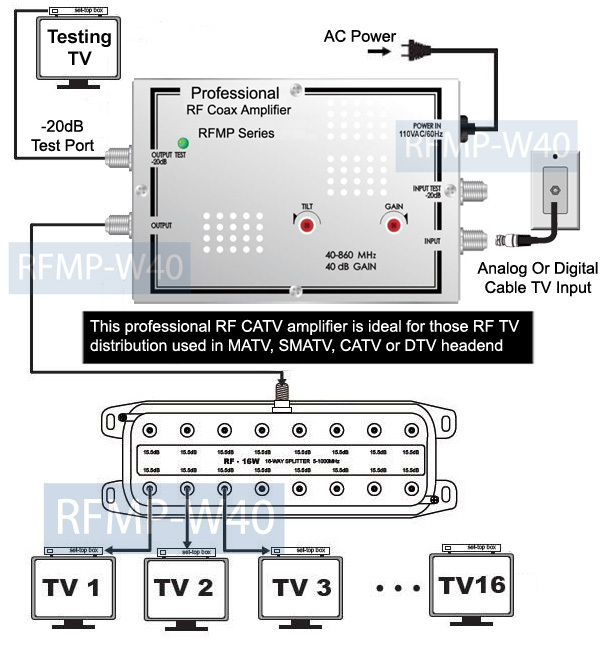 This commercial-grade RF CATV distribution amplifier helps boost the RF TV signal for analog/digital cable TV, CCTV, SMATV, antenna or all other RF modulated TV system with amplification up to 40 dB gain. 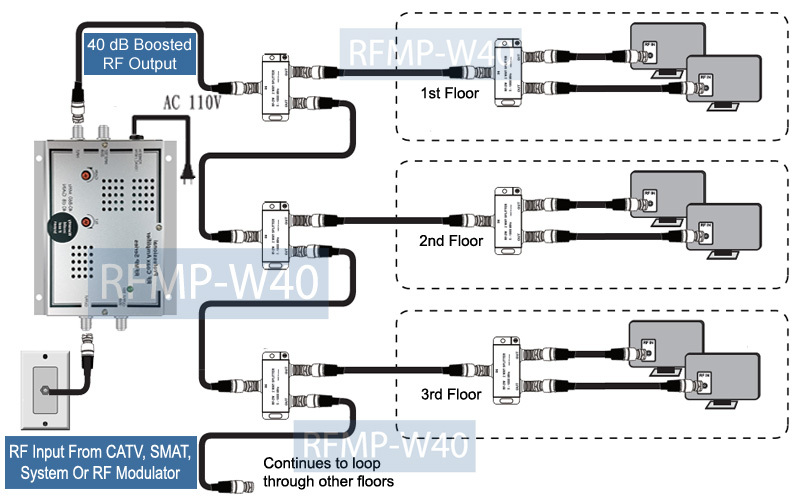 This RFMP-W40 amplifier is the perfect cable or antenna amplifier for large multi-dwelling units (MDU) that require precise RF amplification with gain and slope adjustments for a professional installation. This unit is featured with high 40 dB gain for RF input signals to compensate the RF TV signal loss and attenuation after long cable transmission. Users can easily extend the cable TV signal for another 1700FT or 500m if RF TV source signals have fair 70 to 75dB strength to start with. 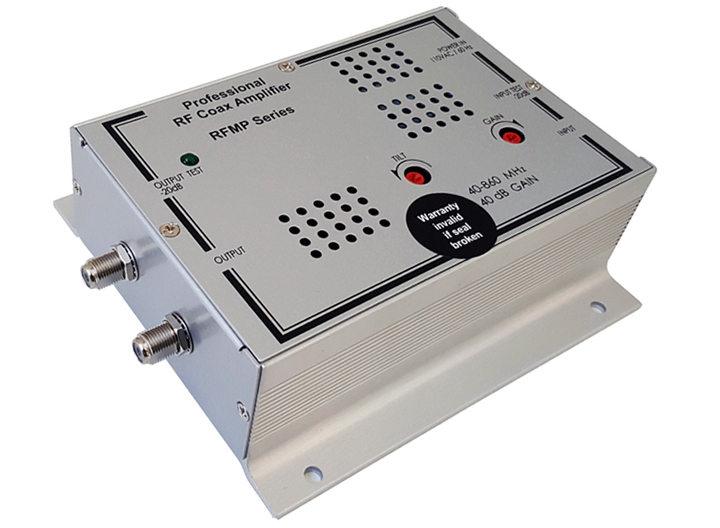 Because the UHF channels will have more loss than VHF channels after long-distance transmission, the 0 to 20 dB compensation provided by this booster can allow large TV coax systems to be properly balanced and mixed with other CATV or existing RF distribution system. 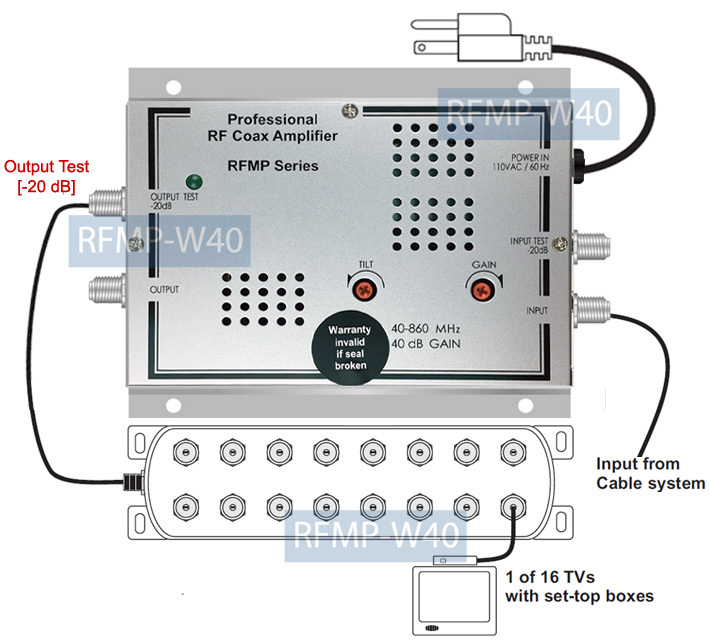 Professional-grade cable TV and antenna signal amplifier with high 40dB output level. 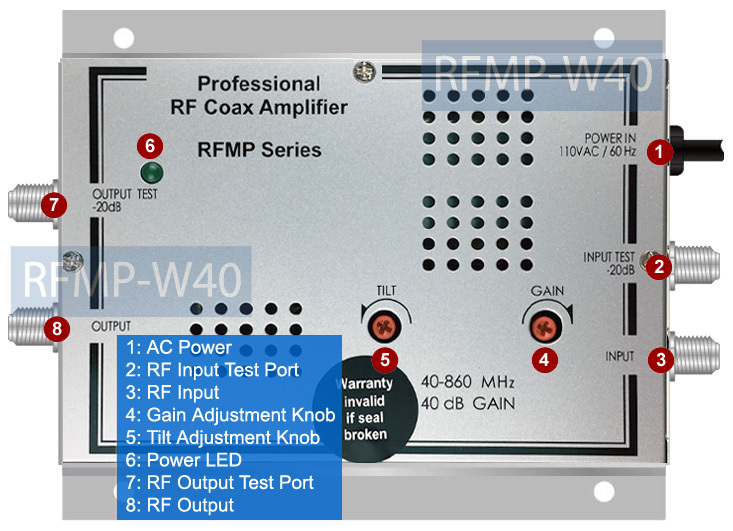 Boost RF coax signal with ease for more than 1700FT or 500m if RF TV source signal has fair 70/75dB strength to start with.